1. Privacy. 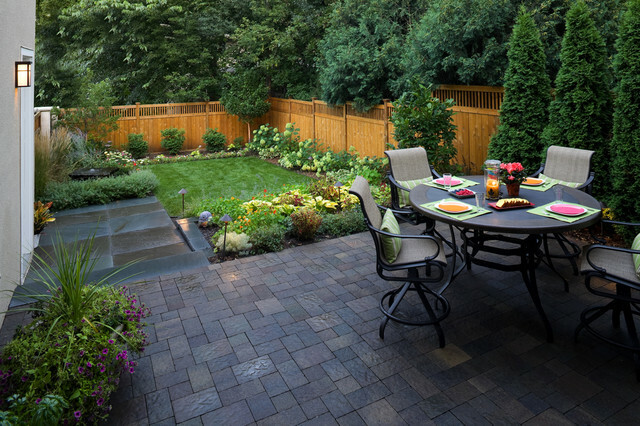 It can be hard to enjoy dinner on the patio or a dip in your pool if everyone on the street and your neighbors have a clear view of your backyard. 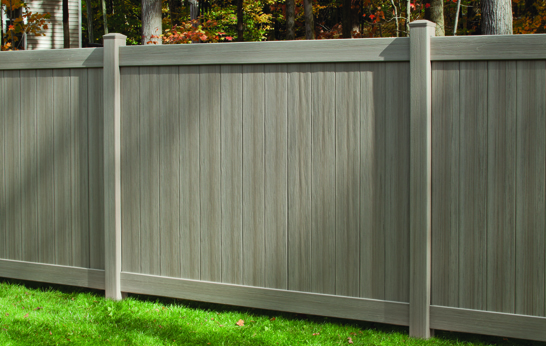 A six-foot-tall privacy fence can help create a peaceful get-away in nearly any neighborhood. Wooden privacy fence in a backyard. 2. Containment. A fence can help provide a safe environment for children and pets, keeping them in the yard where you can keep an eye on them and preventing entry from unwanted strangers or animals. 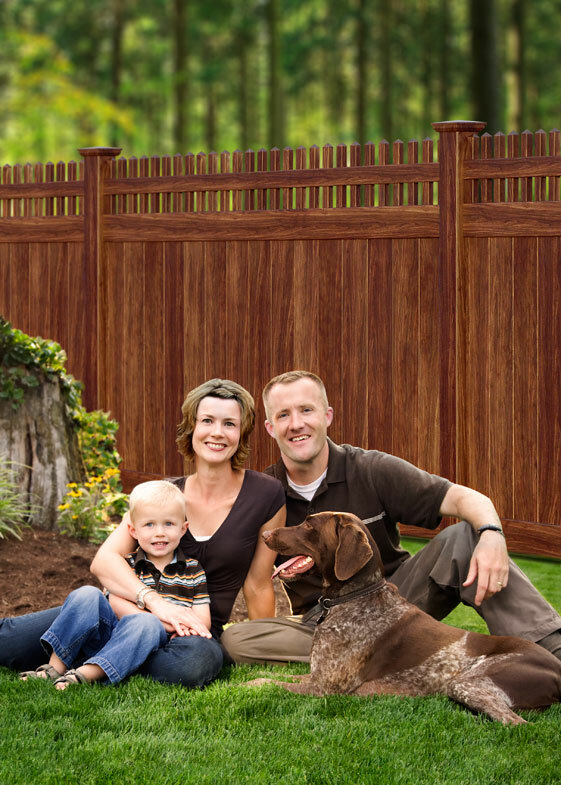 Thanks to this 6 ft tall CertaGrain Vinyl fence in Brazilian Blend color, this family has no worries about their child or dog getting out of their backyard and unwanted people or animals coming in. 3. Security. A good fence can help protect your family – and your possessions – from those who would enter your yard for the wrong reasons. If you have a swimming pool or playground equipment, a fence can prevent trespassers from putting themselves in danger and getting into a lawsuit. It is illegal to have a pool, above ground or otherwise, without having a fence around it. Pool enclosed with CertaGrain Vinyl in Sierra Blend color. 4. Noise reduction. If your house is near a busy street, you may find yourself screaming to be heard over the traffic noise. 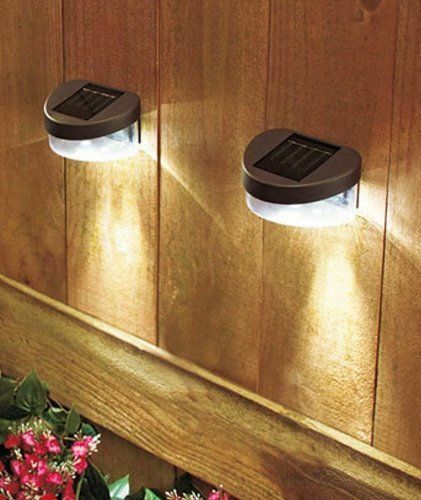 A 6-foot-high solid wood or vinyl fence can knock 6 to 10 decibels off traffic and other ambient noise. Bufftech vinyl is among a handful of products that have traditionally been used to reduce sound along mass transit rail lines and highways and it’s the only vinyl material Anchor Fence installs. 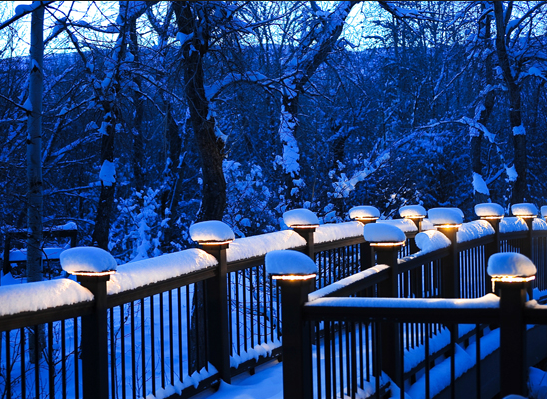 It’s now available for residential use and reports show noise levels are reduced by 60 percent to 85 percent, depending on fence height, elevations and noise frequencies. CertaGrain varieties are thicker and are a better sound barrier. 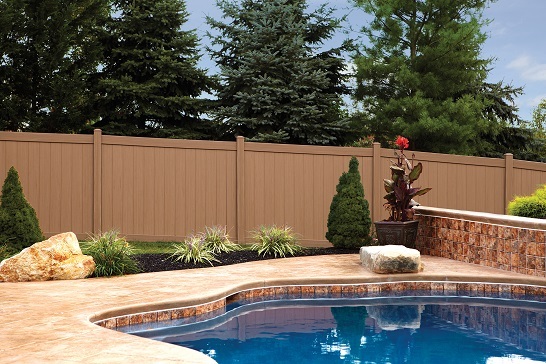 Chesterfield CertaGrain in Timber Blend, vinyl fence in CertaGrain are thicker material than normal vinyl fence which creates a better sound barrier. 5. Design element. An attractive, well-constructed fence can add to your home’s overall appeal. A 4 foot-high fence, such as a picket fence, can both define your property boundary and attract the eye through thoughtful landscaping. Bronze Aluminum Fence with decorative circles.